A sporty sandal that does its bit for the environment too. 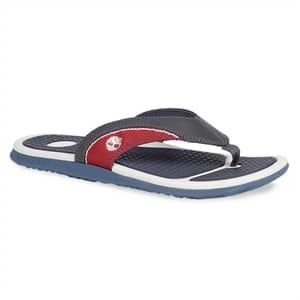 With tough nubuck leather and linings made with post-consumer waste, this bright flip flop is sure to be a hit on the beach, in the garden or just strolling round town. Imported.